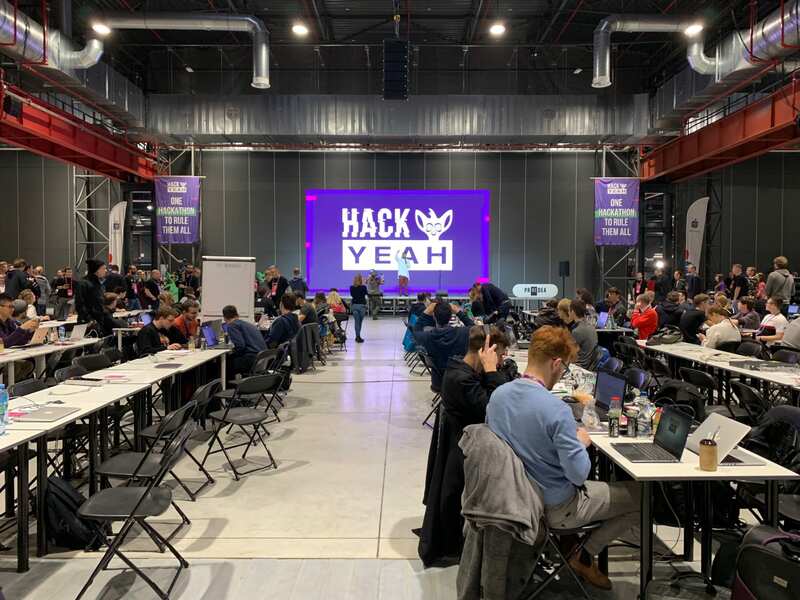 HackYeah 2018 – Boldare Team at the biggest stationary hackathon in the world! Sharing is caring! So they say. And that’s why we wanted to share in an experience of thousands of IT people from Poland. 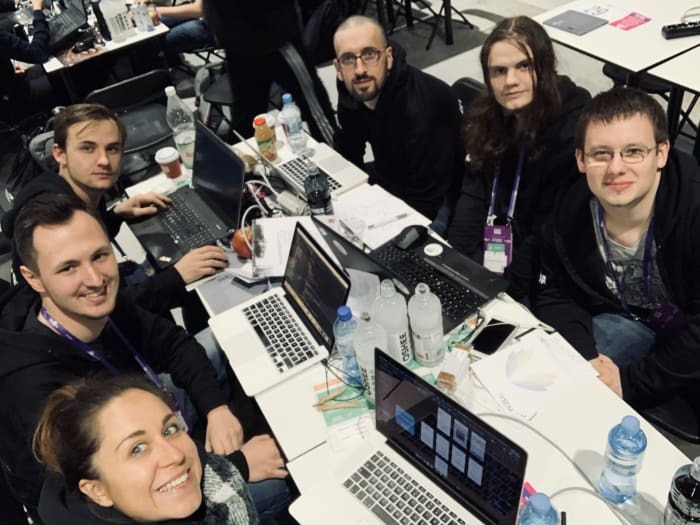 Our 6-person, multi-talented Boldare Team took part in HackYeah 2018 in Warsaw – the biggest stationary hackathon in the world. In only 24 hours, we created a working prototype of a mobile game ‘Travelotto’ based on geolocation. Wanna learn how we did it? Read more below! 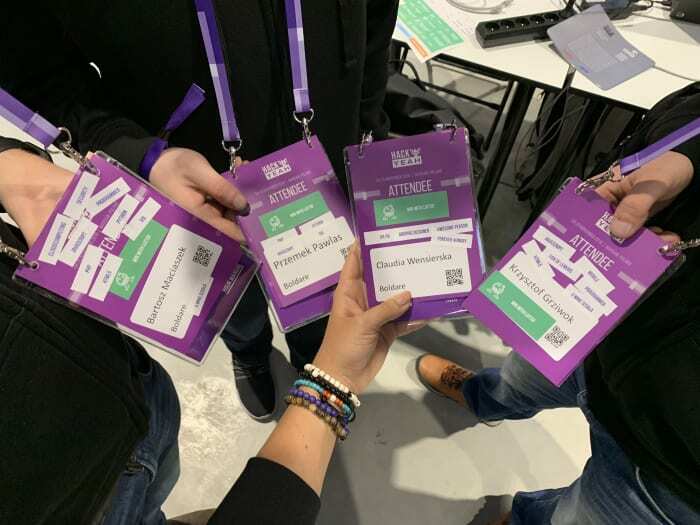 So, let us tell you a short story about how a team of wonderful tech and design savvies from Boldare have joined forces to take part in such a massive coding event in Warsaw, Nov 24-25th. We are looking for a game that combines geolocation with randomness. Maps, coordinates, luck, win. The product of your work should reward players for their activity and gaining new users. It should be based on a simple message and understandable rules. Do not worry about legal restrictions on games of chance and where to get money for winnings from; what counts is creativity and inspiration. Remember that in a game of chance there are winners and those less lucky and that luck plays a more important role than skills. We count on your creativity, knowledge and skills. The Problem - How to engage Millennials in the game with the help of technology? The current clients of Lotto are people aged more than 35. Despite its stable position on the Polish market, Totalizator Sportowy is losing clients in favor of foreign games with much higher prize pools. To maintain their leadership of the lotteries market, Totalizator Sportowy needs to reach younger users, who have completely different needs and use modern technologies. Virtually every Polish person knows this brand. A large group of loyal clients. Many partners – in terms of retailers, sports objects, and many others. A well-established position on the market, public confidence. Due to its long tradition, brand is mainly associated with standard coupons. It is not linked with new technologies and digital solutions. No mobile apps in its portfolio. The present client group is not young enough. The Team - Boldare Team! No poetry, 100% of technology. What have we based our app on? The first step we took after beginning the hackathon was talking to the Lotto mentors, who helped us get a better understanding of the stated problem and validate our concepts. The idea we picked was a good one! 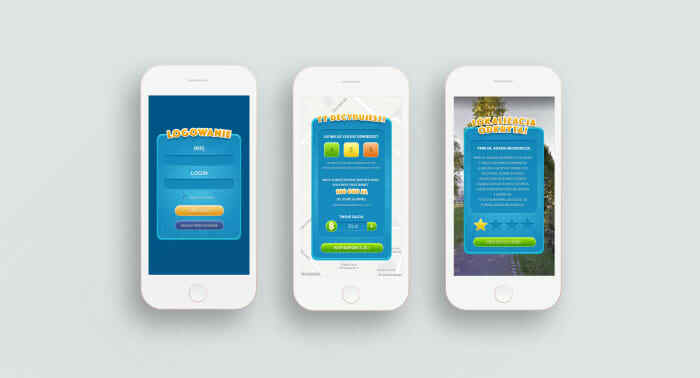 During the 24-hours HackYeah event, we created Travelotto – a mobile game which encourages people to visit various places together, at the same time providing a chance to win attractive in-kind or cash prizes. The goal of Travelotto is to inspire people to spend time together and discover interesting spots in Poland. It combines elements of tourism, education, and games of chance. By buying a coupon, the user can visit famous historical buildings and points of interest in a given city or town, getting to know its history, and simultaneously win valuable vouchers. Vouchers are an exciting way of adding some variety to sightseeing. In partner locations, the user can get a voucher for solving a quiz – this could be a museum ticket, a discount in a nearby restaurant, or a free coupon for the next game. Thanks to the vouchers, you can feel adrenaline and satisfaction throughout the whole game. The player buys a coupon to be able to participate in Travelotto; it is also a lot in a weekly lottery. The game consists in visiting various randomly selected places in a determined order, which becomes known to the user only at the end of the game. The user can choose the number of visited places and the radius of their location. The more places there are and the longer the distance is, the bigger the point multiplier in the game. After the user buys a coupon, places are picked at random as well as the winning visiting order. The points are displayed on a map to the user. When the player gets closer to the drawn place, the place is added to their score and the information about this place along with a quiz show up on the display. The user can receive additional points and vouchers to partner locations. If you guess the order of visiting the places, you receive a voucher. What’s more, each coupon takes part in a cash lottery. We consulted our idea with the Lotto mentors, who had a very positive response to it. They helped us find better business solutions and verified some of our suggestions. Summing up - what a lesson for a dev & design team! - we enjoyed ourselves and boldly represented Boldare! So, HackYeah was a real fun and a valuable experience for the future – an exemplary model of brilliant teamwork and willingness. Another proof confirming that a team can achieve much more than a single person. You should know that we love to share such stories, since we’re all-time-learners and knowledge-sharing runs in our veins! Hungry for more insights? Interested in taking part in such initiatives and improving your development or designing skills with us? The door is always open at Boldare – pop in to chat about what we are working on and how exactly we do it. If you thought of changing the way you work and meet such a lovely team - jump to our Career Page and find the role that fits you!